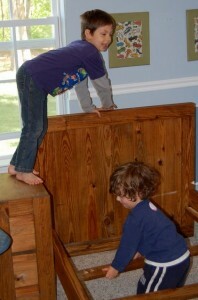 Do Movers Disassemble Beds and Furniture? ← Which Movers Pack and Unpack Your Belongings? Garrett’s Moving and Storage is happy to disassemble and reassemble beds for both local and long distance moves FREE OF CHARGE. For other moving companies, the costs of this will vary. For local moves, the cost is almost always calculated by the hour. For most local movers, this means it costs a little bit extra to disassemble and reassemble beds. For long-distance moves, the cost of disassembling and reassembling beds is figured into the cost. A word of caution on long-distance moves: Most moving companies employ separate teams to load and unload your belongings. This can often result in the unloading crew at your new home having problems reassembling the bed because they didn’t disassemble it first. However, Garrett’s is unique in the fact that the same crew that disassembles and packs your belongings is going to be the same crew that unloads and reassembles your bed and other large items. It’s important to remember that most movers, including Garrett’s, will only reassemble beds if they disassembled it first. For example, if you just bought a new table and it’s still in the box, Garrett’s would not be able to put that table together for you. Therefore, please DO NOT try to disassemble beds or furniture if you think you are going to have a hard time reassembling them later. And believe us, reassembling is definitely harder than it looks! If you are going to be needing some assistance disassembling and reassembling your furniture, we believe that Garrett’s is the moving company that will best serve your needs. Not only do we not charge extra, we provide you with the same moving crew from beginning to end. This ensures that your movers will be well equipped to reassemble your furniture quickly and correctly. 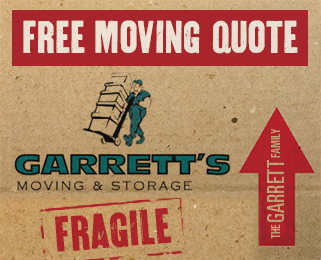 For a completely free and accurate moving consultation, fill out our contact form or give us a call at 972-487-5843. We’ll get back in touch with you within 24-48 hours.